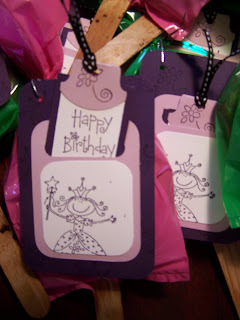 We have so many birthdays coming up, I have been trying to get some cards and gifts created so that I am a little more prepared...it's not likely that I will ever be prepared but I am most definitely trying! 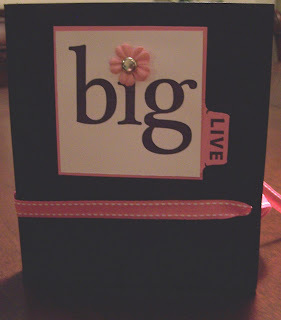 This is a series of 5 cards in a folder that I will be giving as a gift to a number of wonderful women in my life. I hope they enjoy them! Other: Large Brad, Pink Stitched Grosgrain Ribbon, Black Stitched Grosgrain Ribbon, 5/8" Circle Punch, Round Tab Punch, Small Handheld Circle Punch, Tag Punch, Small Tag Punch. It was Sarah's last special day of the year on Thursday and since she is a summer baby, we wanted her to go out with style! 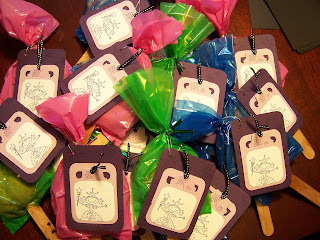 Here are the treats we sent to school for all of her friends to enjoy! 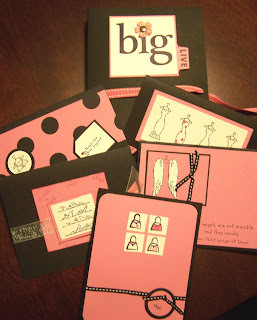 They were so fun to create and Sarah just loved them! She got a big thank you card from her class and shared a few with her friends at daycare too! Well, I don't have a Creative Adults session going on right now so instead I have been creating and keeping myself very busy! 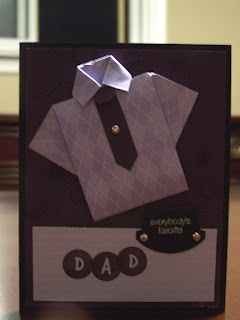 Here is the card I have created for my father-in-law...I found this on another blog and just thought it was the best thing ever...I folded a 4x6 paper to make the shirt...I will add the link soon! 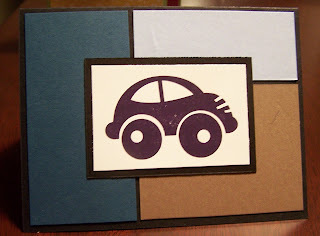 Well, I am expecting a small group tomorrow who are coming to make Father's Day special for their special guy...I have been having fun planning and creating our projects. 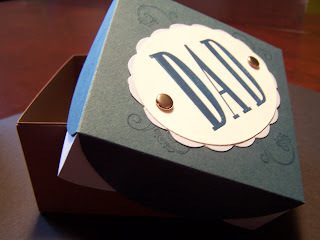 We are going to make this box and fill it with sweets and the matching card seen below I have such fun planning and preparing projects like these...paper crafts are among my favourites! So, I will try to get some photos of the kids working at this tomorrow (we often forget to take photos!) so that you can see the kids' creative minds at work! 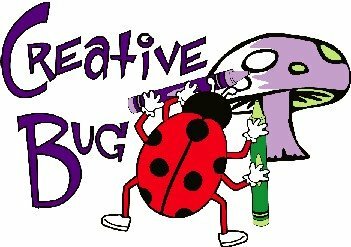 We are working hard to build Creative Bug Workshops so we hope that you all enjoy the ride! This license plate was the best gift ever from my dear husband as it shows his support and encouragement as we take this journey!